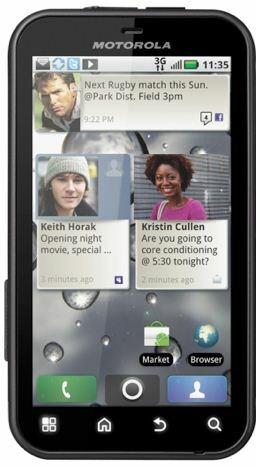 Froyo update for the super rugged mid-range android smartphone is available for users in India. Defy users can upgrade their phone to Froyo over the air but do note that the update is over 100MB. Alternate way is by using Motorola software update tool on your PC. Some have reported loss of contacts on upgrading to Froyo so please have a backup of your contacts and all other important data. Thanks to this Froyo update, Defy will now be a strong competitor to Samsung Galaxy S:LCD and may even outshine SGS:L as it has superior specification and is also water/dust/scratch resistant. Note: There are reports that Motorola is working on Gingerbread update for Defy, which if true can make this the hottest midrange droid in the market.